We are a mobile screen business that does window screen repair in Oak Park and the surrounding areas. We are fully equipped do all the work on the spot. We only use the highest quality materials for all our screen jobs. If you have a problem with one or more of your window screens where the frames bent out of shape or the screen mesh is old or torn, we can help. 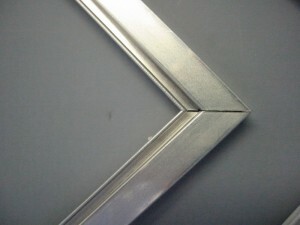 On bent frames there are some that can be saved and others that will have to be replaced. The frames that are bowed but not cracked ,we can bent them back to shape and rescreen them saving you money on not having to buy new frames. If you do need a frame we measure and make it on the spot for your convenience and for the best possible fit. My areas are! Thousand Oaks, Lynn Ranch, Westlake Village, Oak Park, Agoura Hills, Lake Shearwood, Newbury Park, Camarillo, Conejo Valley, Moorpark, Happy Camp, Santa Rosa, Pleasant Valley, Simi Valley, Woodranch, Woodland Hills, Westhills, Chatsworth, Porter Ranch, Oxnard, Ventura and Calabasas. Call me and I’ll take care of all your needs. This entry was posted in Window Screens and tagged Window Screens by Marcelo. Bookmark the permalink.